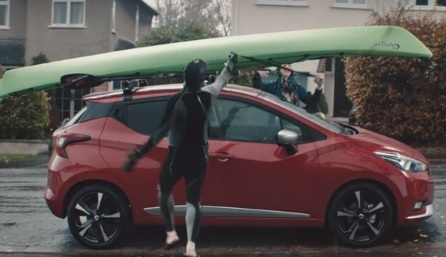 UK’s biggest car buying website, AutoTrader, has launched a new TV advert, inviting viewers to visit Auto Trader to find their next car. The 40-second spot features several persons using their car for a variety of purposes, while a voiceover is heard listing some of them, including “a new start”, a “newfound hobby”, “the away game”, “for more space” for dogs, “for the move out”, students, and “new surprises”, “for playing it cool for school”, or “for owning the midlife crisis.” He then highlights that everyone can find the car they want on Auto Trader, from “the new achievers” to “the monthly budget seekers”, thanks to the new feature included on the website, that allows people to search for their next car (be it new or used) among the selection of 442.000 cars based on either the total price or the monthly price. “Simply choose how much you want to pay per month and choose the car that’s right for you. It’s that easy with AutoTrader.” – the voiceover says at the end of the ad. The soundtrack music is “Eine kleine Nachtmusik” I. Allegro, composed by Mozart.